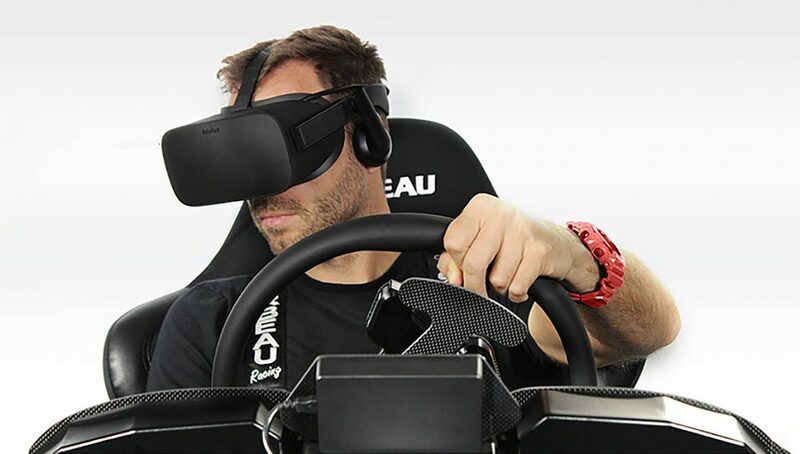 Virtual reality is a natural fit for the sim racing genre, bringing high visual immersion in line with detailed and realistic driving physics. But if you’re playing with a controller (or worse, a keyboard!) you’re missing out the depths of immersion that such games can provide. 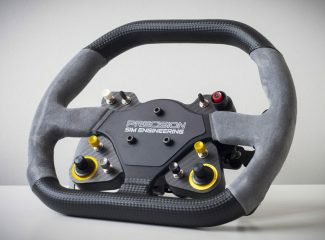 This article presents an introduction to sim racing hardware, with kit recommendations for any budget, including wheels, pedals, and accessories, combined with sim rigs. Sim racing’s near 30-year history has produced a vast array of dedicated hardware, starting with rudimentary wheels attached to bungee cords for self-centering, followed by the motor-driven force feedback revolution, hydraulic pedals, and elaborate motion cockpits. Today, the market covers a wide spectrum, from basic plastic peripherals to extreme, commercial focused gear. While practically all driving simulators can be played with a gamepad, the experience is transformed by using dedicated input devices. 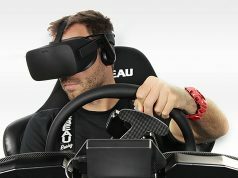 And in the case of VR, the convincing sensation of sitting in a race car cockpit means that holding a gamepad can seem entirely inappropriate. By using a wheel and pedal set to control steering, throttle and brakes, you feel physically connected to the virtual car in a way not possible with general-purpose controllers. 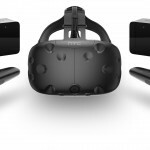 The two leading virtual reality headsets for PC—the HTC Vive and Oculus Rift—both have fairly wide-ranging support for VR racing sims. 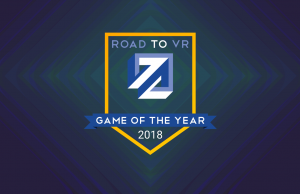 Unless there’s a specific VR sim racing game that you intend to play (in which case, double check compatibility), either will be a good choice. 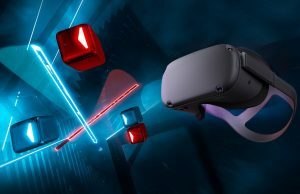 If you plan to use your VR headset only for VR sim racing, the Rift will offer the best price point at $500 (compared to the Vive’s $800 price point) because the headset-only Rift package doesn’t include the Touch motion controllers, whereas the Vive is sold bundled with motion controllers. 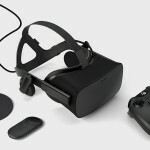 If you opt for the Rift and want to add the Touch controllers later, it’s an easy $100 add-on. 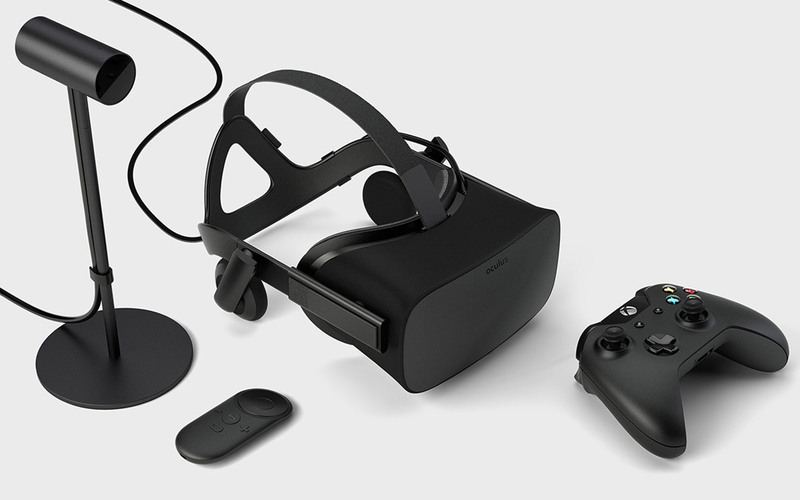 Both headsets require (included) external sensors to track their movements, though if you’re going headset-only for VR sim racing, the Rift’s sensor setup is more simple out of the box. 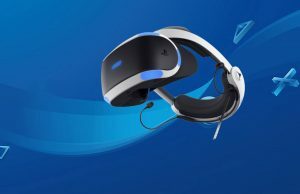 If you plan to use your VR headset for sim racing and general VR gaming, a more important consideration is how much space you have available to devote to your VR play space. 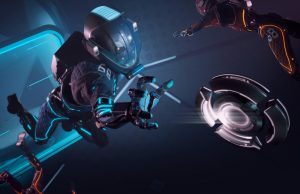 Both the Vive and the Rift can be used for seated, standing, and ‘room-scale’ gameplay, though the Vive scales more easily to larger play spaces than the Rift. 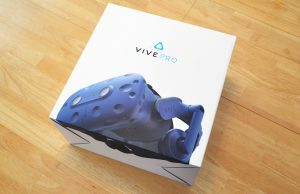 If you opt for the Vive and play to be racing in sessions lasted more than 30 minutes, consider the Vive Deluxe Audio strap add-on for added comfort (and the bonus of not having to deal with a separate pair of headphones). 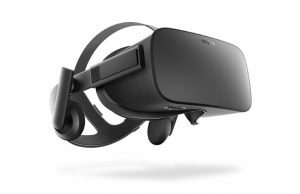 The Rift comes by default with a rigid strap and integrated headphones. If you really want to escape the real world and get lost in your racing sim, the optional Rift Earphones have very good passive noise isolation. 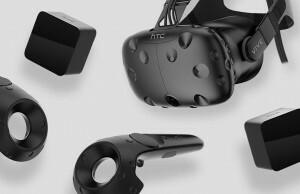 To get the same noise isolation on the Vive you can use your own pair of noise-canceling or noise-isolating headphones as long as they have a 3.5mm audio jack. The strength of immersion in sim racing is determined not only by the quality of your peripherals, but the solidity and calibration of their setup. For instance, there’s little point in using a high-end wheel and pedals if you’re attaching them to a weak desk and your chair is prone to shifting around. Ideally, you should be sitting in a driving position appropriate for the virtual car you’ve selected, with your virtual limbs lined up perfectly with your real body, down to the position of the hands on the wheel and the feet on the pedals. 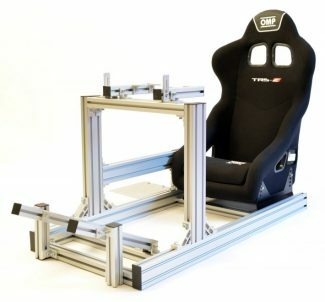 It’s possible to find an approximation with a table and chair of suitable heights, but a decent driving position is most effectively achieved with a dedicated ‘sim rig’, which consists of a racing seat attached to a solid (usually metal) frame with suitable mounting points for wheels, pedals, and other hardware. There are several benefits to using a sim rig. 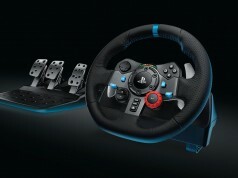 Not only does it provide a comfortable driving position, but everything is ready to race at the click of a button. If you’re constantly setting up a temporary position for a wheel and pedal unit at a table, then it’ll feel slightly different each time, which is bad for driving consistency, and particularly irritating with a VR setup where your headset restricts the view of your surroundings. Not to mention, if the whole setup is easy to use, you’ll use it more often! Having a familiar rig that you can navigate largely by touch while wearing a headset is very helpful. Bolting the units to a chassis means you can drive with confidence, braking hard where necessary without worrying that the pedals might slip from under your feet. In addition, hard-mounting a force feedback wheel to a rigid chassis enhances the feedback output, as less information is lost through unwanted flex; you can significantly improve the feeling of even low-end sim hardware if it is attached securely to a dedicated rig. 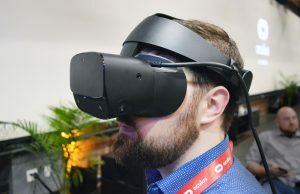 And perhaps most importantly for VR, you’ll avoid any gradual drifting of your viewpoint or touch points as everything is securely bolted down. For starters, you’ll need a combination of wheel and pedals. 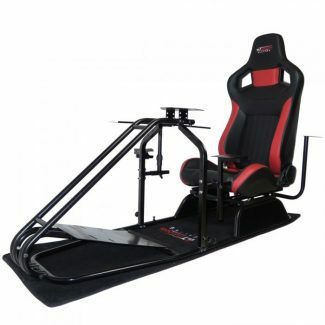 If a sim rig is a step too far for a beginner, then at least ensure you have a strong desk/table for the wheel clamp, and prop the pedals up against a solid surface so that you can’t accidentally push them away in the heat of racing. It’s not a great idea to use a swivel chair on wheels, although they at least usually have a quick height adjustment which can work well for improving your driving position. The T150 is currently the go-to entry level wheel and pedal set for sim racing. A less expensive T80 set is available, but it only uses a simple centering spring and has limited rotation. 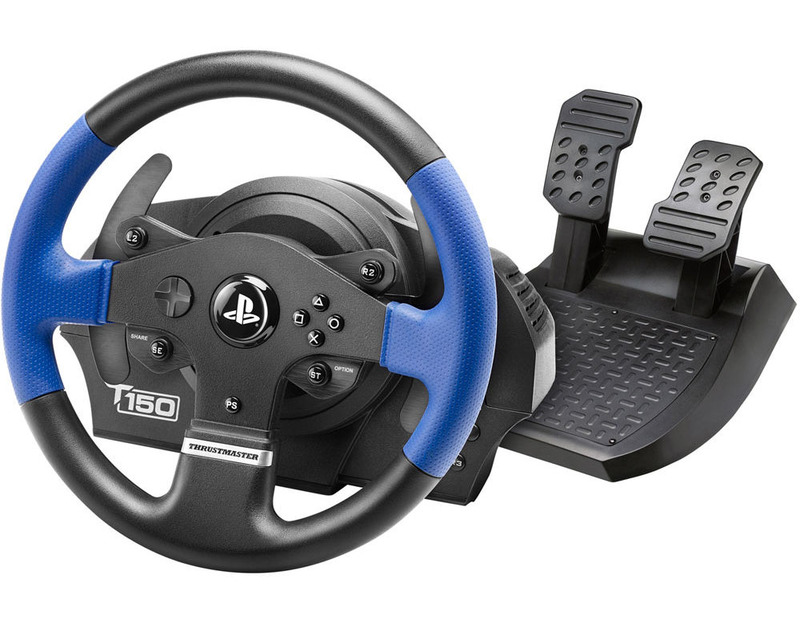 The T150 is the point in the range where Thrustmaster gets serious, offering a wheel with full rotation and proper force feedback. 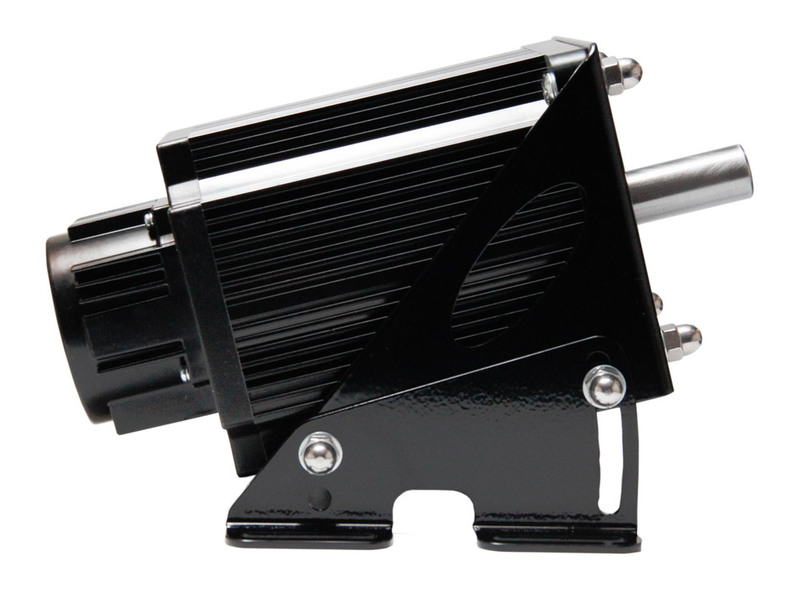 The standard T150 set is usually available for around $170, but the pedal unit is weak, using a fully plastic construction with very little resistance on either throttle or brake. The optional T3PA pedal set is a major upgrade, being higher quality and stronger, featuring a conical rubber bushing to bolt behind the brake pedal to offer more progressive resistance. The T150 Pro bundle includes the T3PA pedals, and you should be able to find it for $250. 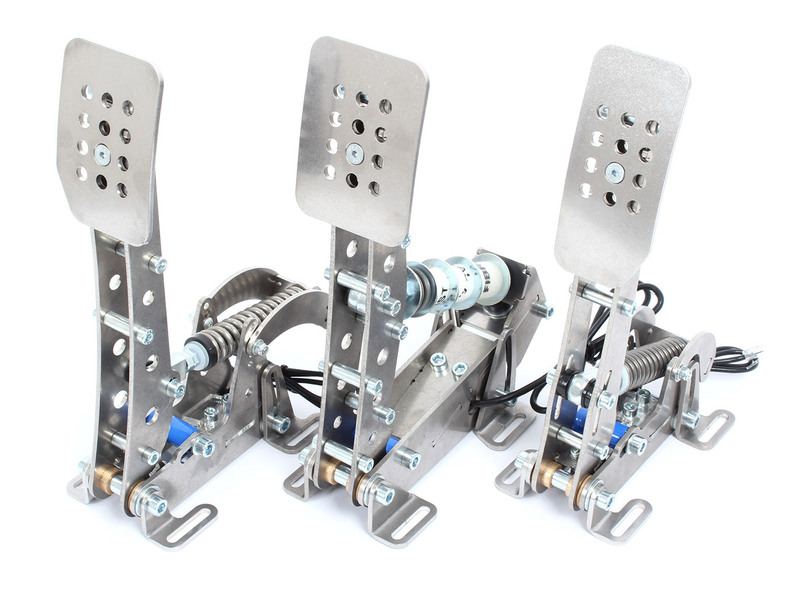 If you choose the stock T150 to begin with, you can easily improve the basic pedal set by adding a small amount of foam or rubber behind the brake pedal to increase the resistance. Alternatively, those with a low budget may want to consider the used market, where higher-spec devices are often found at very attractive prices. 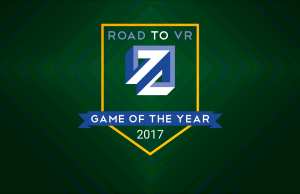 Using the PC as your VR sim racing platform means that a wide range of discontinued hardware is still supported in racing sims. Proceed with caution however, as input devices of this type tend to suffer a very tough life! Here’s a list of popular, well-supported consumer wheels in order of performance (from weakest to strongest), which you might want to snag if you are a bargain hunter. It’s worth noting that a used wheel with a broken or worn pedal set may still be worth a look at the right price, as you can spend the larger chunk of your budget on separate, new pedals. On PC, even the lower-end pedal units can be used in racing sims as a standalone USB device, if you have the right adapter. 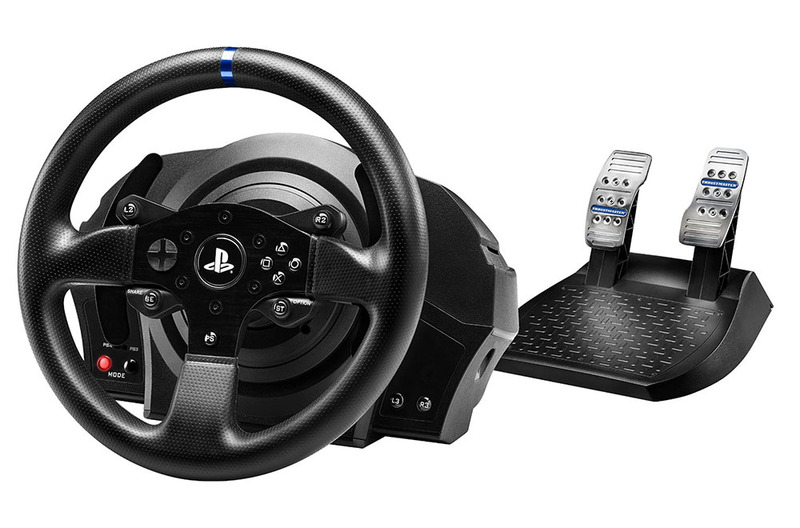 For example, the Thrustmaster TRJ12 USB Adapter will allow you to use a T3PA or T3PA-PRO set with any wheel. At this level, a dedicated rig becomes pretty important, if not essential. Of course, it’s easy to blow a $1,000 budget on a higher quality wheel and pedal set than the recommendations in this section, but the priority should be to own a solid chassis first, preferably one that can accept upgraded devices at a later date. 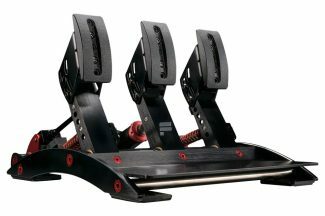 The Thrustmaster T300 combined with T3PA pedals is a great choice for a $500 budget, as it will work acceptably on a table and will benefit from moving to a rig at a later date, and it supports the full range of T-Series add-ons. Note: the T300 is available in multiple packages at fluctuating prices, ranging from the ‘Servo Base’ on its own to the ‘Alcantara Edition’, which bundles the luxurious 599XX Alcantara rim with the T3PA pedals. The ‘GT Edition’ bundle uses the standard T300RS rim combined with T3PA pedals (with slightly different pedal faces), and is usually the cheapest route to the T300/T3PA combo. 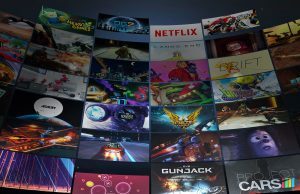 It may also be worth considering the TX – the PC-compatible, Xbox One variant of the T300 (with 900 degree rotation instead of 1080) – as its bundles are sometimes cheaper. If you need to save space, there are several collapsible stand products that offer an improvement over using a table, such as the Wheelstand Pro, Playseat Challenge, or GT Omega Wheel Stand—the latter having the advantage of being essentially the front section of a full chassis, with the rear half available to buy separately if you want to expand your rig at a later time. If you don’t require a space-saving solution, buying or building a full rig is the sensible route to take. 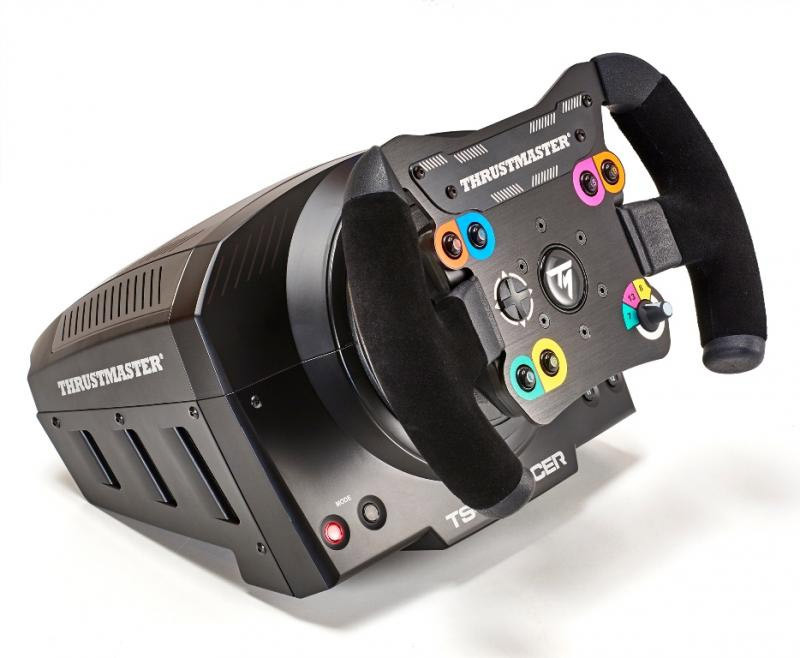 With a higher budget, the Thrustmaster TS-PC Racer or Fanatec CSL Elite Formula combined with CSL Elite LC pedals is the recommended next step above the T300/T3PA combo (check out our ‘Best Steering Wheel & Pedals for Newcomers to VR Sim Racing‘ article for a detailed comparison of the TS-PC and CSL Elite). 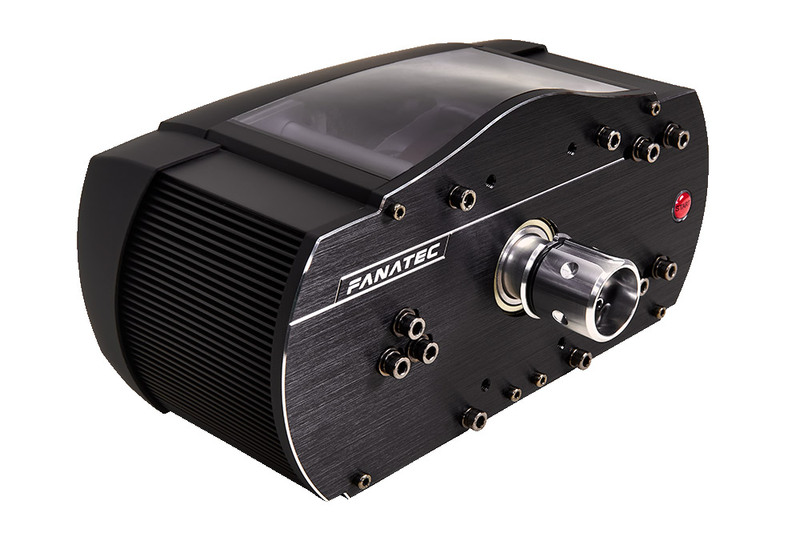 These devices offer strong feedback, and as the Fanatec pedals feature a load cell brake, require hard-mounting to a dedicated rig to truly appreciate the advantages of this type of sensor. Note: higher quality pedals often use load cells rather than rotary potentiometers to measure inputs. This is particularly important on the brake axis, where a load cell allows the driver to find the optimal braking pressure more intuitively. 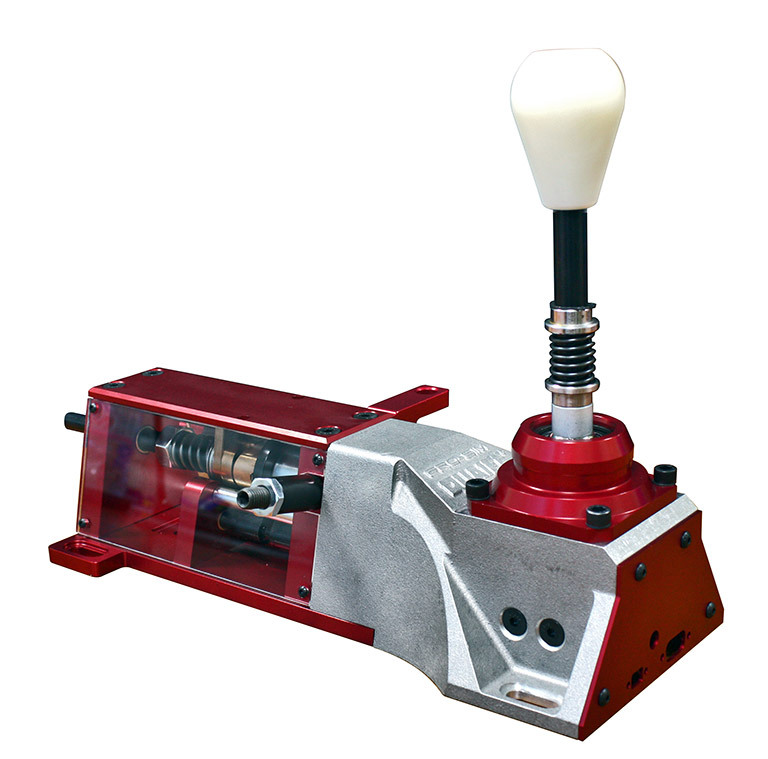 The CSL Elite pedals LC is the least expensive route to load cell braking delight. The most cost-effective way to own a solid rig is to build one from wood, if you have the means to do so. A variety of plans are available to buy on the Open Sim Rigs site, including one made entirely from 2×4 pieces. Alternatively, Ricmotech offer a more detailed, well-proven DIY plan that includes full-size templates and an instruction booklet. Extruded beams of slotted aluminium (commonly referred to as ‘80/20’) is a popular material to build a chassis, but this tends to be considerably more expensive than wood. For those looking for off-the-shelf solutions, RaceRoom and Playseat make some of the least expensive rigs, but the GT Omega Pro is considerably more solid, and continues to represent some of the best value in terms of stability for the money. While higher-performance wheels are attainable with this kind of budget, in order to have a well-balanced combination of hardware, the CSW V2.5 seems to be the right choice. 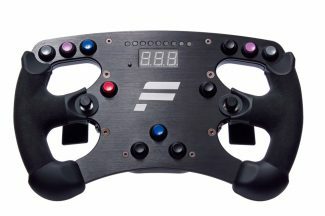 The flagship Fanatec wheel is a superb device, by far the best consumer model on the market before you venture into the niche direct drive segment. 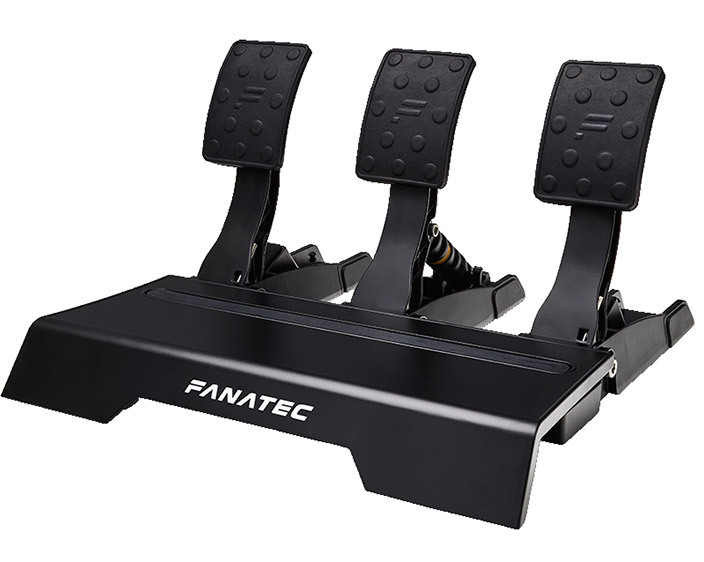 There is also a temptation to stick with a lower-end pedal set with this budget, and the Fanatec CSL Elite LC set has the quality to compliment the V2.5 wheel base. The next step up is Fanatec’s flagship ClubSport V3 pedals, which have a stronger build, but are perhaps too close in price (particularly the inverted model) to ProtoSimTech’s PT-1 pedals, which are undoubtedly another jump forward (unfortunately they’re not currently available, but worth keeping an eye on). 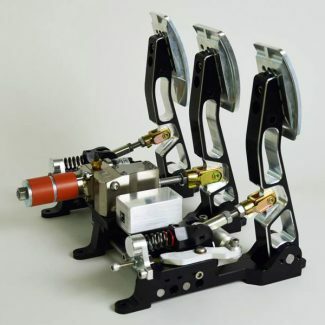 At any level, the choice of pedals can make more difference (in terms of lap times and consistency) than the wheel, so one could justify spending a significant percentage of the budget on pedals, and Heusinkveld’s Pro pedals are a very popular choice. In terms of rigs, the GT Omega Pro rig from the ‘enthusiast’ section can still be made to work with these high-end pedals, but its fixed pedal plate design isn’t ideal. 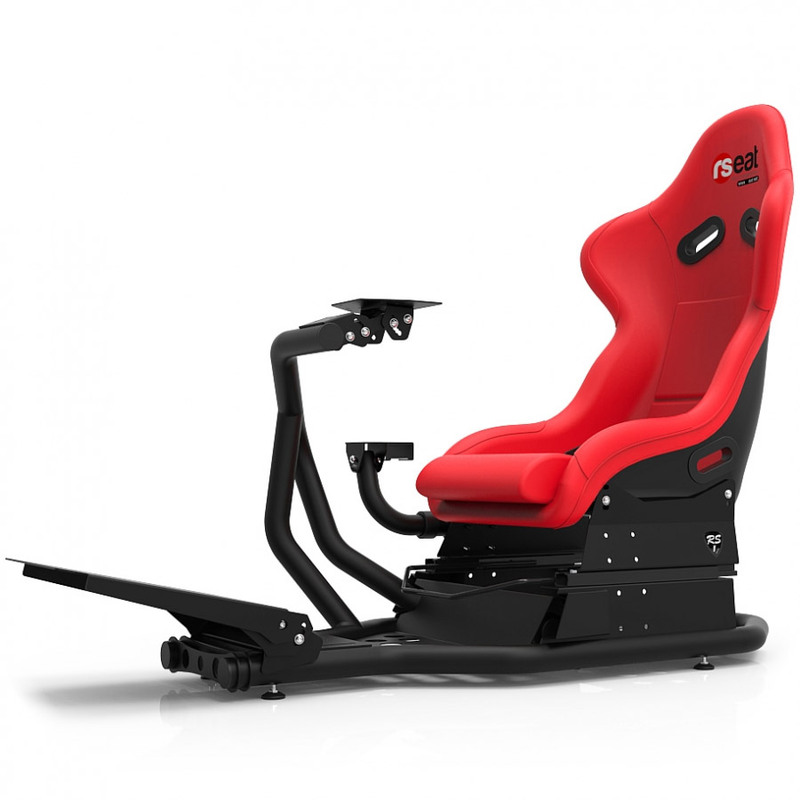 A good step up from GT Omega is the RSeat RS1, which is more adjustable, stronger, and has a modular design that can incorporate several upgrades, including a pro pedal plate that reduces flex. Alternatively, using an aluminium profile is likely to be the stronger and cheaper solution if you go the DIY route, although ready-to-assemble 80/20 kits can be just as expensive as prefabricated chassis designs, as illustrated by the super-solid Heusinkveld Sim Rig GT. 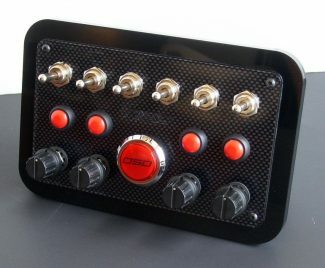 Basic kits from suppliers such as 4PlayRacing, Sim-Lab, or JCL SimRacing start at around $500. Let’s just call these suggestions rather than recommendations, because these products are all far beyond the typical consumer level, with performance and durability that can hold up to the demands of a commercial or professional environment. 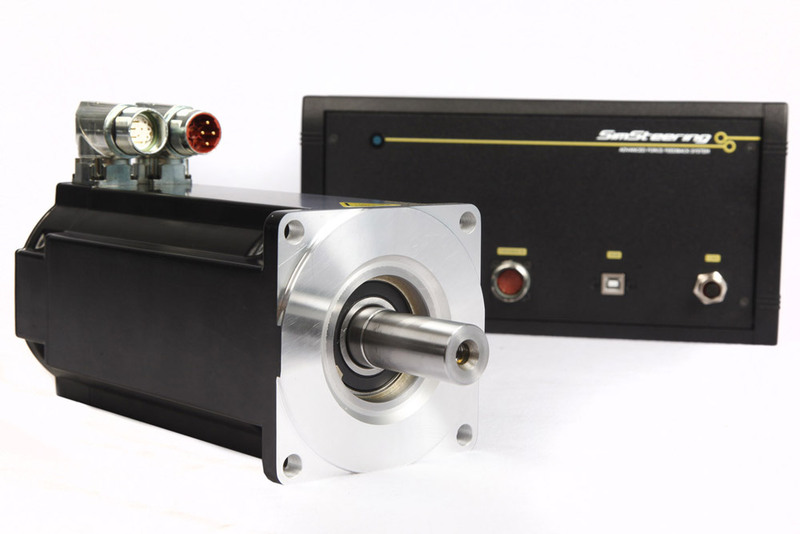 Unlike consumer force feedback wheels that use gears or belts to supplement a smaller motor, direct drive solutions connect the steering wheel directly to the shaft of an industrial servo motor. Gears and belts always dull the feedback to some degree; a direct drive wheel offers superior response, torque, and dynamic range. If you want the ultimate haptic feedback in VR sim racing, this is it. The torque available from these systems is enough to break wrists—you may want to let go of the wheel before you hit that virtual barrier! Until a few years ago, the technology was limited to the commercial sector, but thanks to the resourcefulness of the sim community, the OpenSimwheel project was born. For those looking to build their own OSW, Martin Ascher’s tutorial is a good place to start, and BoxThisLap has some useful documentation. But it is now much easier to purchase kits from sites such as Sim-Plicity or SimRacingBay. The SimSteering2 system from Leo Bodnar Electronics is widely considered to be the best direct drive system for racing simulators, but it comes at an eye-watering cost. 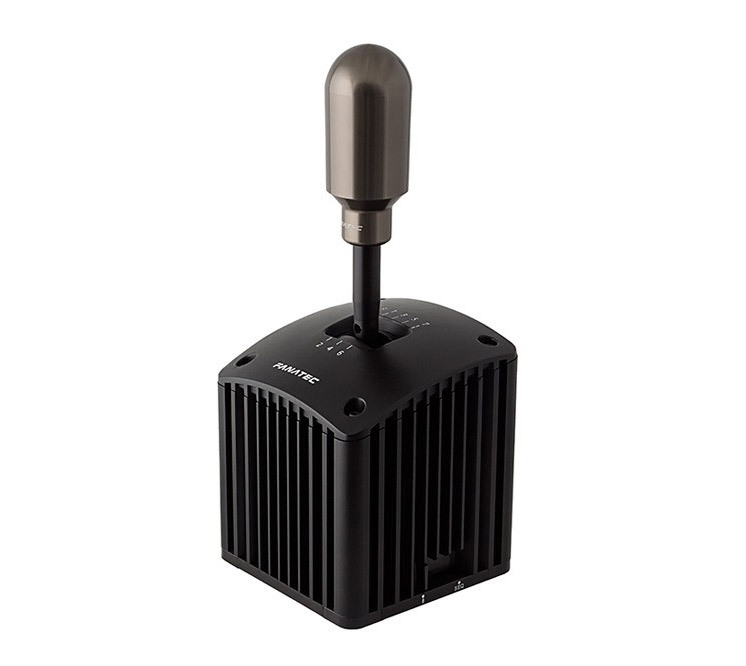 Developed for the commercial market, the SimSteering2 is more accurately described as an entry-level industrial controller, comparable to systems from Moog and Cruden. You’re paying a lot more for very similar performance to an OSW, although you’ll avoid the notorious EMI issues that continue to trouble many OSW builds if you go this route. 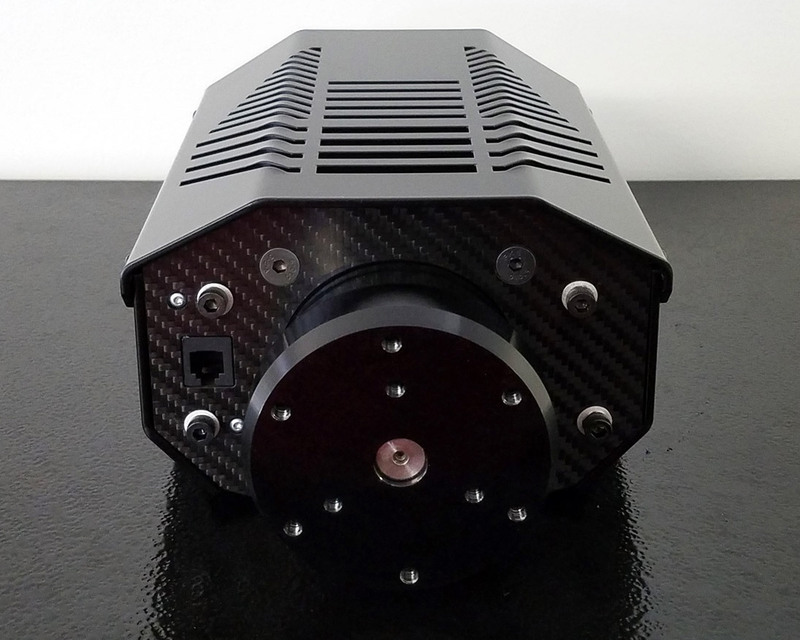 New direct drive solutions are said to be in the pipeline from Thrustmaster and Fanatec, but for now, the most consumer-oriented direct drive option is the AccuForce from SimXperience. Version 2 is launching soon, with the ready-to-drive model available for $1299. Much like the wheels, pedals at the top end of the market are as realistic as it gets, and are highly adjustable, so you could tune any set to suit your preferences. The Heusinkveld Ultimate, HPP PRX, and RealGear GTpro3 are examples of industrial-strength devices that use three different hydraulic designs to replicate the feel of real car pedals. 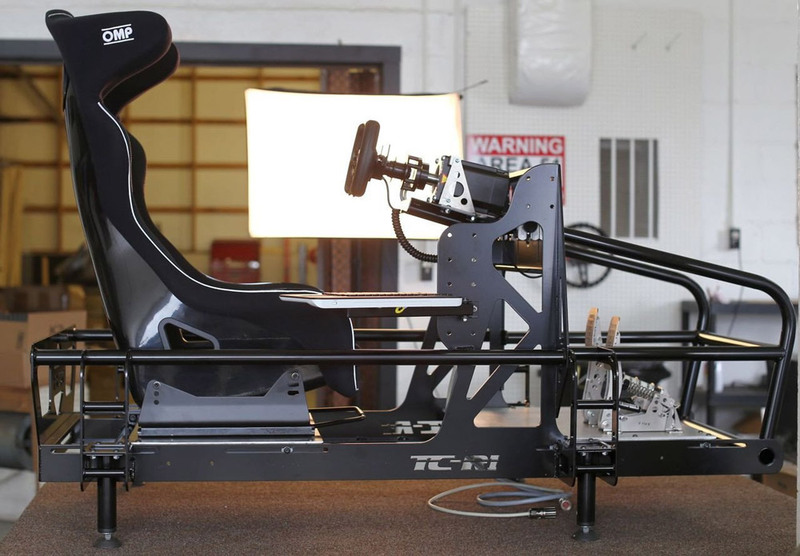 Again, rigs from the previous section will work, but it’s worth mentioning a few additional high-end options here, such as the FastTrackSims TC-R1, motion simulator specialists SimXperience—who offer complete rigs with an innovative yaw actuator to simulate the feeling of the rear traction loss—and companies that offer turnkey VR motion simulators such as CXC Simulations and Vesaro. 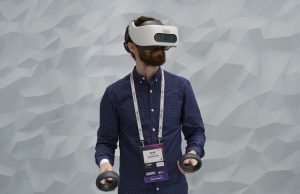 Motion rigs are hugely entertaining, but can be somewhat problematic for VR, particularly with the Vive, where its base stations are mounted away from the rig. 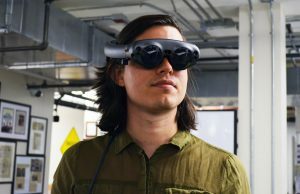 With long-travel motion actuators, your head may change position so much that it doesn’t translate to realistic movement in the virtual cockpit. 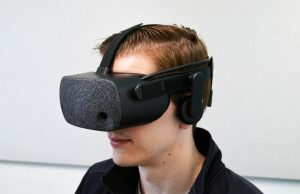 Using a Rift, the tracking camera can be attached to the motion rig itself, so that positional tracking is relative to the rig, rather than the floor (but this can cause other tracking issues due to excess vibration). 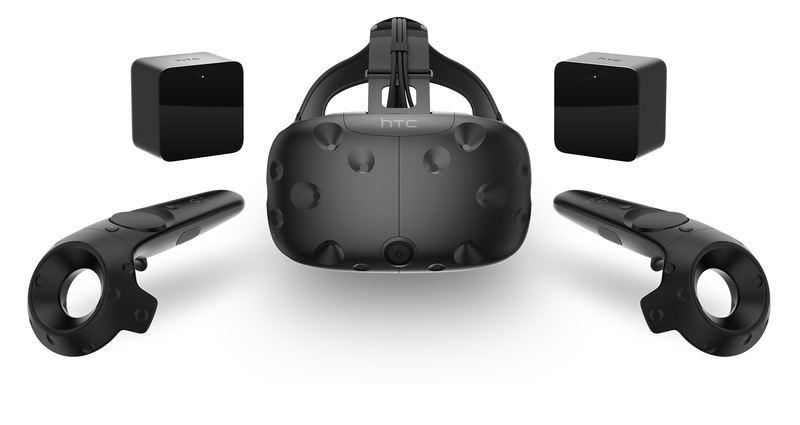 As such, shorter-travel actuators tend to be more appropriate for VR. Alternatively, you can enhance a static rig using audio transducers rather than motion actuators, with a popular brand being Buttkicker. 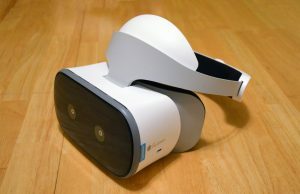 This can either run off the sim’s audio, working like a very low-frequency subwoofer, or ideally, connecting directly to the sim’s physics output, as provided by SimVibe software. 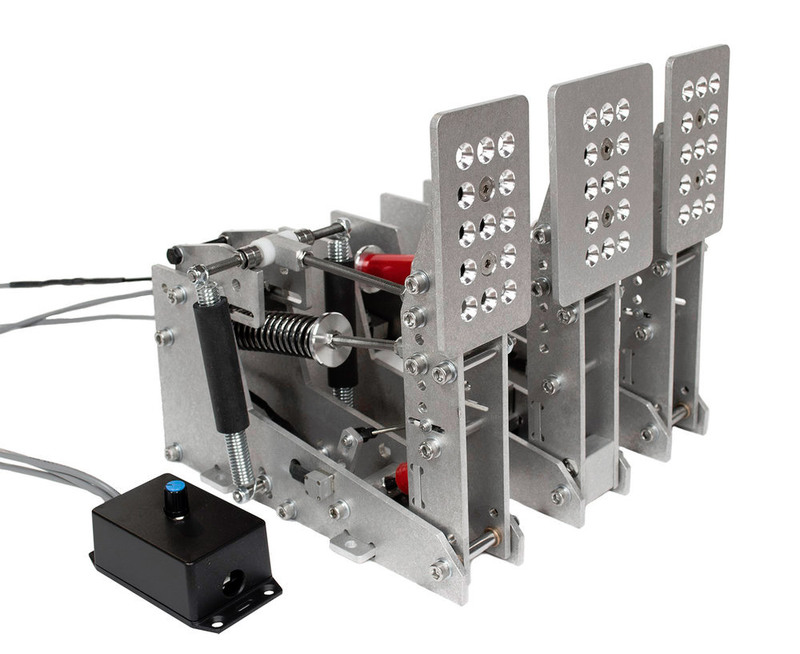 This technology makes the transducer act more like a force feedback device, and while it works with a single unit, is particularly effective if you can mount a transducer to all four corners of the chassis. While rigs like the TC-R1 offer a driving position that is a good compromise between an upright ‘GT’ position and the low ‘formula’ position, some will want the full formula experience in VR, where the H-point is lower than the feet. 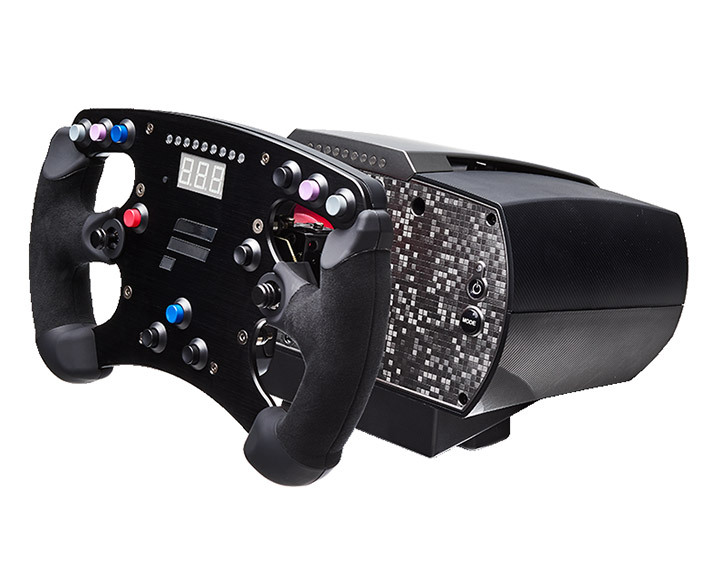 This is achievable with a custom 80/20 build, or with off-the-shelf rigs like the Playseat Grand Prix, and Next Level Racing offer an innovative F1GT rig that can be adjusted between the two driving positions. 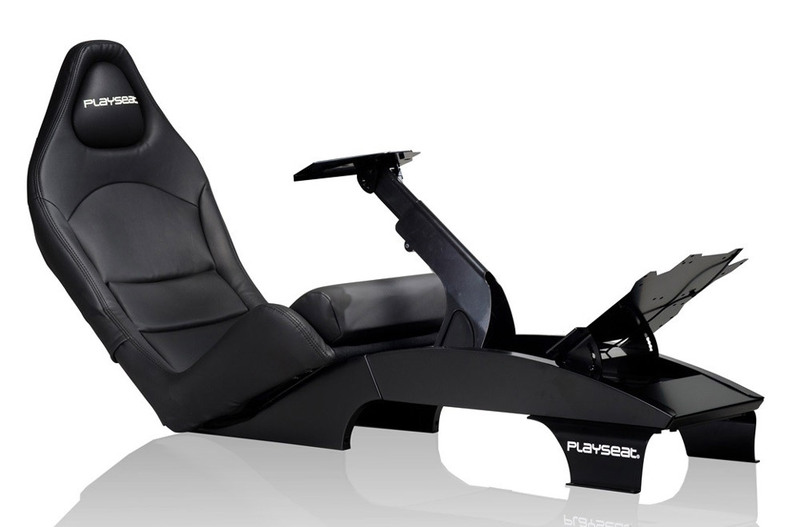 Elaborate formula-style cockpits are also available, from companies such as Evotek Engineering and FormulaVR, who recently revealed their HelmetVR product. If you’re a car enthusiast, you’ll know there’s something special about rowing through the gears manually (as this gentleman certainly does), and that’s no different in a VR simulator. 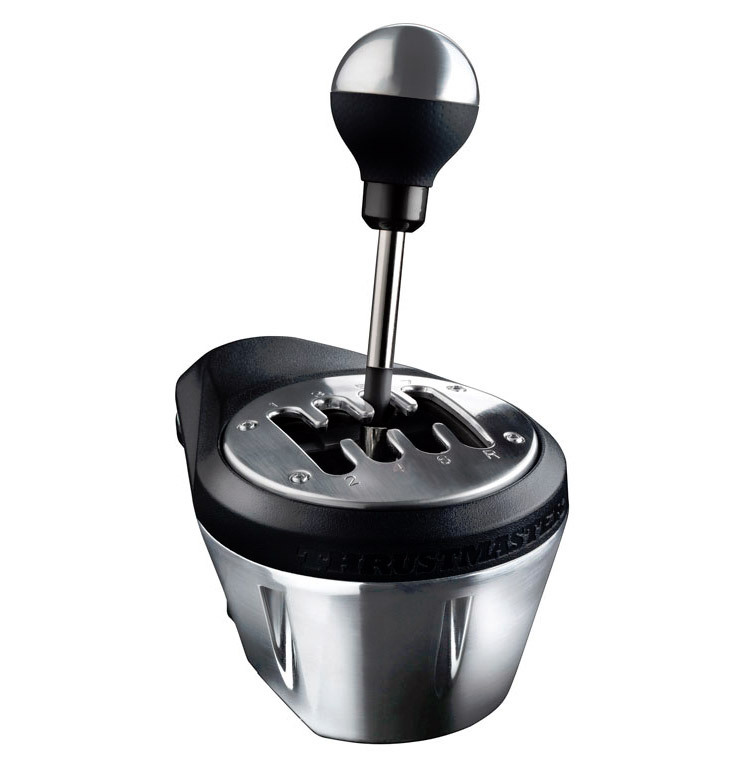 Unless you have limited space with a formula-style cockpit, or you only plan to drive cars with paddle-shift, a separate shifter has to be the most important input device after your wheel and pedals, greatly enhancing the sense of connection to H-pattern manual cars. 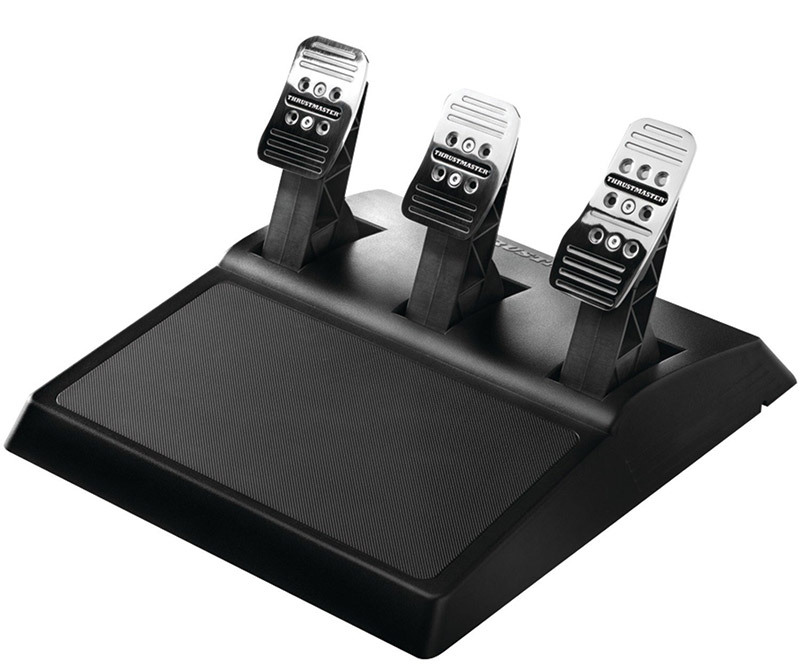 The Driving Force Shifter from Logitech is the most basic option, designed to connect directly to their G29/G920 wheels. This adapter from Leo Bodnar can make it a standalone USB device. It does the job, but it feels like a toy without some modification and is only appropriately matched to entry-level wheels. 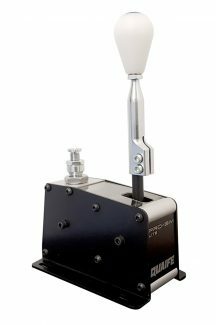 The 3D-printed SHH Shifter (~$100) is significantly better, followed by the all-metal Thrustmaster TH8A (~$180). Fanatec’s CS Shifter V1.5 (~$200) currently sits at the top of the list, until your budget can accommodate the ultra high-end Pro-Sim H Pattern Shifter (~$1,600). The SHH, Thrustmaster, and Fanatec shifters all offer a sequential mode, but those serious about sequential-shift cars may opt for a dedicated shifter, from manufacturers such as DSD, Heusinkveld, Manu-Factory, or Pro-Sim. A sequential shifter can double as a handbrake too (an essential input if you’re a rally fan), although these are also available as separate devices. There are thousands of different shapes and sizes of steering wheel, but they can be divided into just a few categories. VR has an advantage over monitor-based sim racing in this area, because you see the correct virtual steering wheel for every car, but it’s still beneficial to hold a real wheel that approximates the virtual model as closely as possible. A small formula-style rim has a very different feel to a large rally-style variant for example; it is quite common for sim racers to have at least two types of wheel, now that both Thrustmaster and Fanatec wheel bases have quick-release systems. If you invest in a Thrustmaster wheel base (T300/TX or better), the T-Series of rims are compatible, such as the 599XX Alcantara or Ferrari F1. 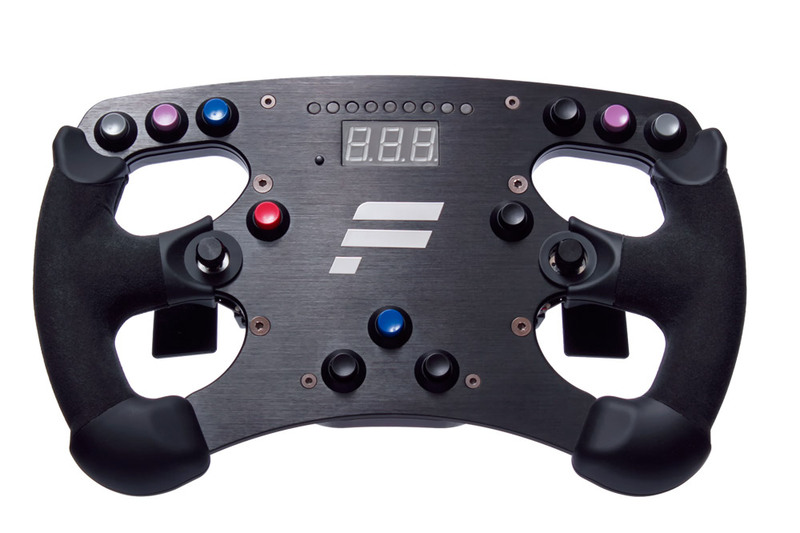 Fanatec offers a wide range of rim options, including a Universal Hub, that allows most real racing wheels (such as MOMO or Sparco) to be attached. 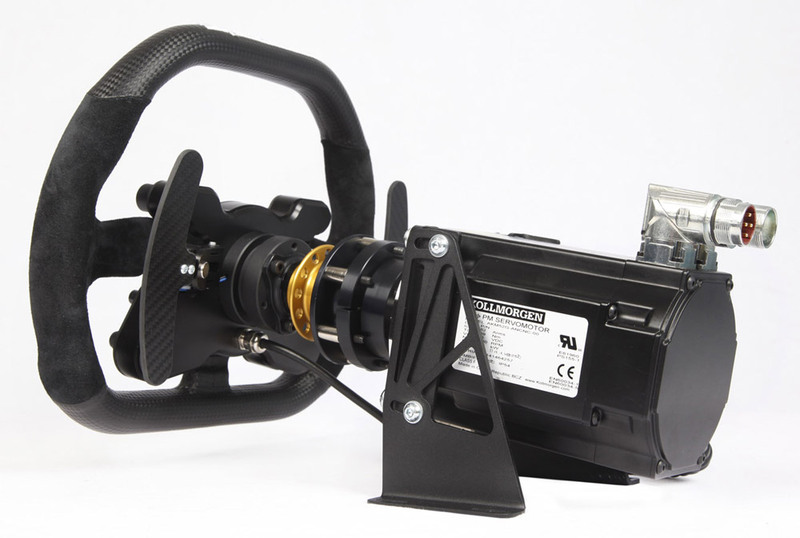 Pro-grade quick-releases are available for direct drive wheels, although Fanatec’s rims are so capable that many direct drive users opt for an adapter to use their quick release system. With a restricted view of the real world, using a wheel rim with a few well-placed buttons is pretty important for VR, as you’ll want to quickly access certain functions while you race, such as adjusting brake balance, activating the pit limiter, or toggling through various HUD menus. You certainly want to avoid fumbling around for a keyboard or mouse wherever possible. Incidentally, when you do need access to keys or a pointer, a keyboard and mouse combo unit like the Logitech K400 Plus is very useful for a sim rig. A dedicated button box can be a very practical accessory. 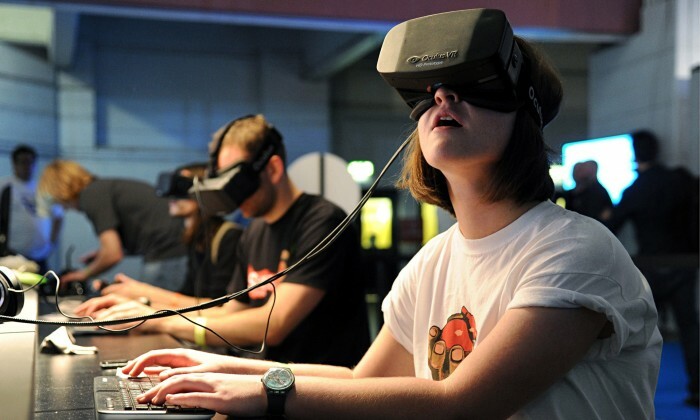 In VR, you’re operating every input by feel, and there’s only so many buttons you’d want on the wheel before it becomes too cluttered. It’s a good idea to pick a layout with a variety of switches that are easily-differentiated by feel. 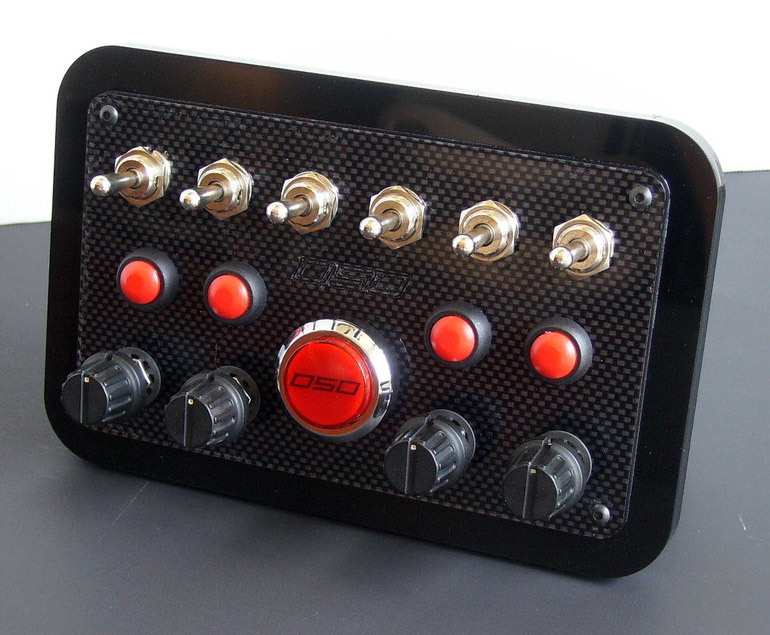 These devices are available from manufacturers such as Derek Speare Designs, Ricmotech, Sim Racing Hardware and Simracing Real Xperience. What an impressive and helpful article this is. Thank you for that. 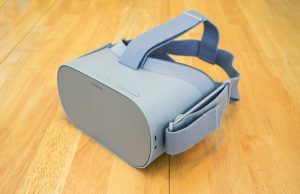 It is especially relevant to me as I am the nutter behind http://www.vrdriversim.com and you have just fleshed out some very useful detail around how to approach the steering matching task. I am first going to look at ways to utilise the existing automotive electric power steering unit as a force inducing servo, but I know my fallback position is to replace the stock steering with a Thrustmaster or similar. Or use the info you hsve referred to here to make a dedicated servo system. Thank you again for that. My racing sim setup weighs in well above the $5000 mark, I have about twice as much invested. 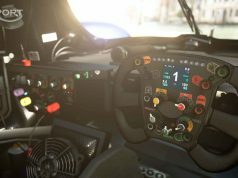 On the whole this is a decent beginner article into sim racing gear, a few missing gear options here and there but a good read. Thanks Jarjar. What are you racing with? What options do you feel a missing? Hey benz145. I running a Bodnar Wheel, Next Level Motion motion V3, HTC Vive, Heusinkveld Pro pedals, Heusinkveld Handbrake and shifter, Derek Speare’s button box… and more. The article is good as it’s richer than I’d expect appearing on a non-sim racing website. The content is missing some common consumer motion platform options. There’s of course the Next Level motion I’m running, but there’s a few others on the market. Such as ProSimU (www.prosimu-shop.com) which are relatively affordable as motion platforms go. So the Logitech wheels are no good? 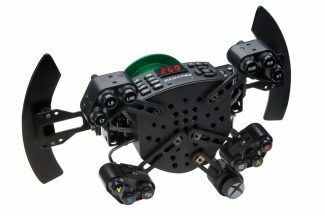 I’m looking for a beginner set with a space saving sim rig. This article would lean me towards the T150 Pro and T3PA pedals with the logitwch shifter and adaptet or the shh shifter. But I’ve heard other places recommend the Logitech G29 as a beginner kit. What do you think?